a. Had a birthday a few days ago. Totally in the 30s club now. b. Totally is my new favorite word. c. I got my PC back. d. OK OK. I’ll get to it…. ….The book review registry is open! I just have one more book that I am finishing and one more to start from the old list so I am gonna go ahead and open the registry again. I am looking forward to some good summer reads. I do have a few added rules this time around. When I first implemented this registry last year, I had no idea it would take so long to get through the list. This time around I am only taking on a few reads and I’ll be a little bit picky. Not only am I making room for the book clubs I am apart of but I also totally overwhelmed myself the last time. I took on too many books in a quest to be helpful. That won’t happen this time. I have to put myself at the top of the list. This helps you as well. A shorter reading list for me means the registry will close early but also open early. (2) Books registered through THIS form does not guarantee you a review. Again, registering your book does not automatically mean I agree to read your book. If the book looks interesting I will email you for the first Chapter of your book for consideration. (3) After registering please wait for my email. Stalking my email won’t make this go any faster. (4) If it looks like a book I want to read I will request your first Chapter. If you already posted your first Chapter on your blog somewhere a link to that post is good too. (6) Please be patient as I read the book. Constantly emailing me won’t make me read any faster. (7) Reviews of 3-5 will be published on this blog, Amazon, and Goodreads. Please read the form for more information on my Book Reviews. This time around I am looking forward to seeing more African American / Black Lit books submitted! Please read through my guidelines on the form carefully before submitting a book for review. Remember, Register HERE for consideration. Whenever I finish a book and prepare a review, I ask myself why I am doing this. Why I dedicate time reading books and time writing reviews and even more time structuring the blog post. Do you know how many times I revise a post before it goes public? Too many times. Some of the posts you love the most have been revised upwards to twenty times because I want it to be done to the best of my ability. It may not even be done right but at least I know I’ve done what I can. If I think before I speak then it means that I must also think before I write. Of course, typos fall through but the point is that to prepare and schedule a post takes time. So, after days (sometimes weeks and months) reading the book, hours writing the review and a few hours scheduling the post I ask myself, why am I doing this? This question led to this post. 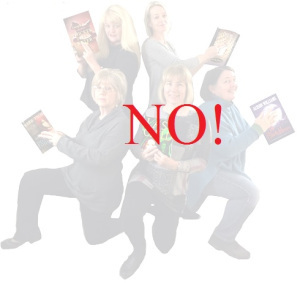 Book Bloggers are individuals who offer their service as nothing more than an act of love. It is a selfless act in which the person or persons expect nothing in return. Reviewers are not paid, have no agendas and to be real, we really don’t even have the time which is why our to-be-read piles are always sky high. Book Reviewers read books and write reviews even under pressure and harsh criticism because love endures. And the real ones, those opting to give much more than glowing five stars, these reviewers give even more. Not only do they give their time and attention but they are also genuine. They open up about how they truly felt about the work and add even more value to the service by giving authors the opportunity to grow. As I finish a book and prepare the review, I find myself feeling really good. I am not burdened or worried or obligated. I am doing what I enjoy doing and am always excited for the authors I get to promote! It humbles me to be a part of their journey. Sometimes I scroll Amazon just to see how my authors are doing. I remember reviewing books that had just a few reviews when I reviewed them. Then I see they have ten, twenty and thirty. I smile inwardly. In some way, I helped someone to grow. You see, Book Reviewers do this, largely, with nothing coming back to them except the valuable qualities that no one can take away because it is something that people cannot touch and that money cannot buy: Love, Respect, Dignity, and Courage.